IC-OH NO. If you invested in an initial coin offering (ICO) in 2017, we’re sorry, because the company you invested in is probably out of business by now. That’s according to a new study by a pair of researchers from Boston College (BC). ICOs have become a common way for crypto startups to raise funds. During an ICO, the company sells a certain amount of its digital currency at a set cost prior to listing the currency on an exchange (an online platform where investors buy and sell cryptocurrencies). Then, the company uses the money from the ICO to fund its operations. For their study, the BC researchers looked at a total of 4,003 ICOs that raised a collective $12 billion, most of that since January 2017. Using a company’s Twitter activity as a sign of life, the researchers determined that 56 percent of ICO-funded crypto startups failed within just four months of their ICO. They published their findings online via the Social Science Research Network (SSRN) on June 5. MAKING MONEY. The researchers also determined the best time for investors to cash out their coins: within the first month the company lists its crypto on an exchange. “We find evidence of significant ICO underpricing, with average returns of 179 percent from the ICO price to the first day’s opening market price,” they write in their paper. “The strongest return is actually in the first month,” researcher Leonard Kostovetsky told Bloomberg. NO RISK, NO REWARD. It’s not groundbreaking to conclude that it’s risky to invest in ICOs. The crypto world has its fair share of bad actors that use ICOs to scam investors out of their money, and the practice of ICOs has been under serious scrutiny by various government officials for months. Some nations have outright banned the practice. 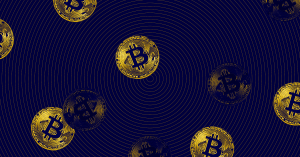 Still, even seemingly well-meaning startups can have trouble surviving the burgeoning crypto space, as the BU researchers found. Ultimately, according to their research, if you’re willing to take the risk to invest in an ICO and don’t wait too long to sell, you could be “compensated handsomely” — assuming the company doesn’t fail before listing its tokens on an exchange, that is. Editor’s note 7/11/18 at 12:20 AM: This article was updated to correct the researchers’ university affiliation.